Samsung OmniaLITE B7300 is a smartphone that comes with an easy-to-use interface and features Internet access and multimedia and business functions. The three-dimensional TouchWiz 2.0 interface enhances user experience by supporting various widgets. For business-use, Omnia LITE supports multiple push email accounts and lets you work with office documents. The phone's Windows Mobile 6.5 Operating System provides the foundation on which OmniaLITE's business-feel stands on. Want to take your business on the road? Do it via Opera Mini, B7300's default web browser, which you can use with high-speed data transmission technology HSDPA and Wi-Fi connectivity. Omnia Omnia Lite B7300 (vs. other phones under the OMNIA line) is characterized by ever-slightly less "advanced" functionality and a more acceptable price. Nonetheless, Omnia Lite B7300 offers a slew of outstanding connectivity and entertainment features that would surely make you want to purchase it. The phone features a 3.2-inch resistive touch TFT LCD-display with a resolution of 320x400 pixels, which complements various apps and games quite well. Also, there's a 3.2-megapixel camera module, Bluetooth 2.0, FM-Tuner, USB 2.0 port and a slot for microSD cards. As mentioned above, B7300 supports GPS-navigation (A-GPS), works with 3G-network HSDPA, quad GSM / GPRS / EDGE and, of course, WiFi-network. OmniaLITE has physical dimensions of 107 x 51.8 x 12.9 mm and weight of only 103 grams -- which is quite small and light for a smartphone of this calibre. It fits in the hand really well and I'm sure you won't experience problems carrying it in your pocket. It's not bulky whatsoever. As for the design of the case, the chrome accent on the sides adds character to this otherwise plain looking phone. I think it also gives the device that business, no-nonsense look. OmniaLITE features a resistive touchscreen (read Resistive vs. Capacitive touchscreen discussion via the link), which means that you'd have to apply a bit of pressure on it to create an action. IMO, it's a bit backward compared to its capacitive counterpart but that's how it is. 1. The Start button to launch Windows Mobile homescreen is a bit hard to 'press' right without accidentally opening the widgets dock. 2. Typing on the on-screen keypad in vertical mode is not the easiest of tasks. I find the keys a bit cramped, causing me to mistype words often. OmniaLITE features a 3.15 MP, 2048x1536 pixels, autofocus camera without flash. The photos are just fine, I think. Not bad considering the minimal indoor lighting and lack of camera flash. Again, just fine. The video quality is completely what I expect of a non-HD cameraphone. Just ayt. One of the things I found really enjoyable to do on this phone is browsing the net. The Connectivity Widget and Wifi Settings page are really easy to work with. No need for advanced know-how whatsoever. In hindsight, I didn't experience any problems at all connecting to the net. Once connected, the phone's powerful Samsung ARM 1176 667MHz processor and 250MB of internal memory made sure that webpages load really fast. OmniaLITE's battery life is just average. On paper, it should stay on for 27 days on standby and provide 9 hours of talk time. I found out, however, that browsing the net on wifi drains the battery quickest -- getting only a little more than 3 hours of browsing time on full charge. 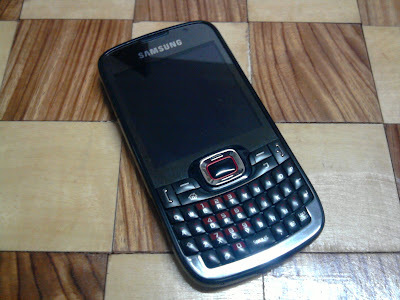 Samsung OmniaLITE B7300 is a definite catch, in my humble opinion. While it isn't quite as powerful and feature-rich as its siblings in the Omnia line, given its price range of only Php 12,000 - Php 13,000 (at authorized Samsung retail shops in the Philippines), you can't go wrong with OmniaLITE. If only for its powerful mobile processor and its relatively large amount of internal memory, in contrast to other phones (from Samsung or otherwise) with proprietary CPU at a similar price point, I'd give OmniaLITE 4 out of 5 stars. If you want a phone that offers exemplary mobile internet browsing experience, then you should definitely have OmniaLITE on your check-out list. i bought samsung omnia lite last march. 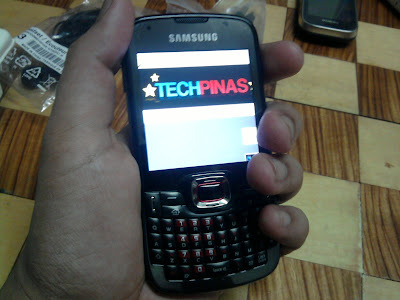 i didn't know na may made in china rin pala na samsung! d ko rin kasi tiningnan nung binili ko, tatanga-tanga din kasi ako! nalaman ko lang nung ng-ask yung friend ko na bilhan ko sya ng samsung phone din tapos siguraduhin ko daw na made in korea at hindi china! pagtinging ko sa likod ng phone ko made in china pala! i thought nokia lang pini-fake nila! pwede ko pa kya isuli yun sa binilhan ko? complete pa namn sya pati resibo... if ever d tinanggap ng store, san ako pwede mg-reklamo? i paid P12,990 for it! nainis talaga ako! nakakahiya! mahal ng bili ko tapos fake pala! kahit 10k nalng ibalik nila sakin basta isusuli ko talaga sya! i have an Omnia Lite and it freezes too!! it hangs and it is really a hassle to use. brought it to the Samsung Service Center at SM Mall of Asia and Robinson's Place (where I bought the phone) to have it checked or even replaced because of its defect but they kept on blaming the SIM card. they said that apparently, Samsung phones are "designed" for 64k SIM cards and since I'm using a 128k postpaid SIM card, it will cause the phone to hang, the battery will be drained faster, it will cause the phone to heat up faster and it will have intermittent network signal. and till now, after a month, my phone is still with them since they are still "checking" what the defects are. Samsung phones are just as equally poor in performance as the quality of service itself!! Hi, is it true, only released color for B7300 is in full-Black? I need feedback.